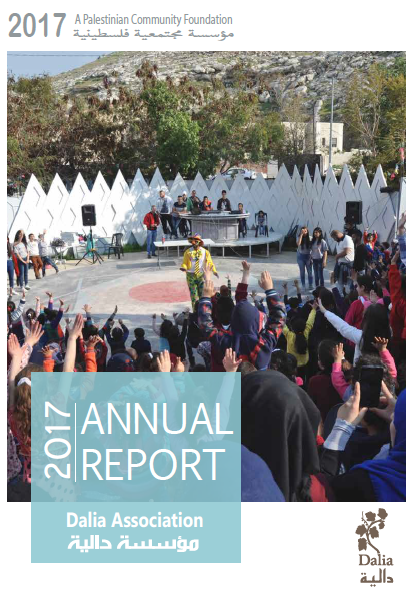 You can now read our annual report available on this link. We are so proud of our work, and the 10 years that Dalia Association brought to the communities. This report demonstrates how important it is for us Palestinians to control our resources for our own durable development! Closing Events IBDA' in the schools. We held two closing ceremonies for the IBDA' program in the schools. On the 20th of May, the leaders of the 4 initiatives at the Ramallah Friends School grants presented their initiatives: Ktab, The Habitat, Qatra min Biladi, and the Visual pollution film. They all received certificates for completing the program. As for the Orthodox School of Bethany, we held the event on the 23rd of May, where the two student groups Watch and Read and Creative Hands summarized their initiatives. Similarly, at the end of the ceremony, certificates were distributed. We held several trainings with the Jenin and Tulkarem women funds on the 24th and the 26th of June. 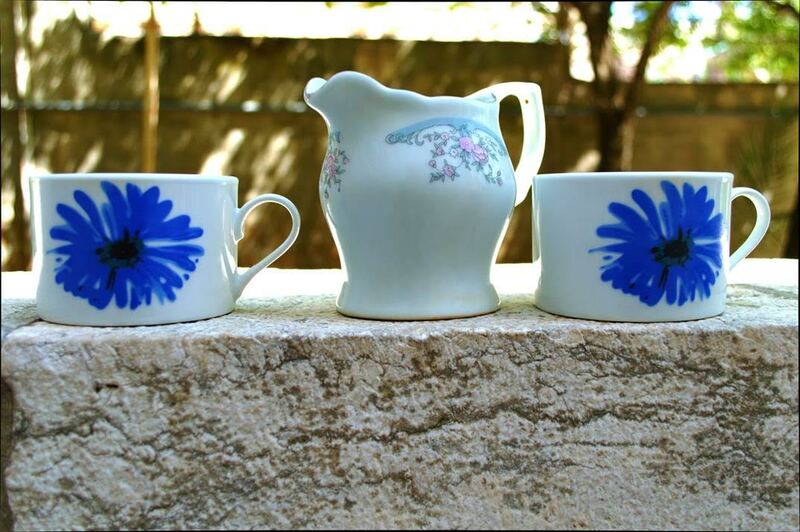 The trainings led by the local artist Riham Isaac focused on creative thinking and teamwork. This will later enable the women to collaborate to come up with solutions and initiatives for their constantly changing needs and priorities. 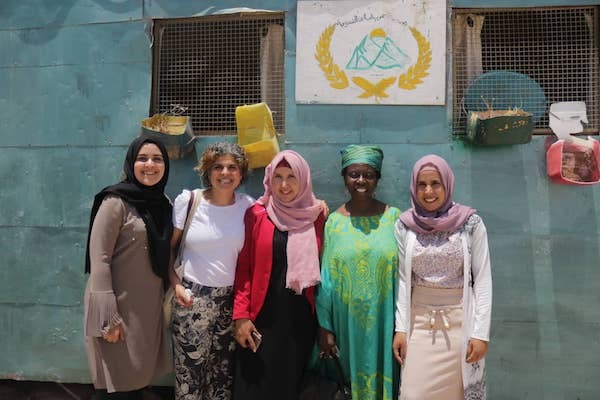 Musimbo Kanyoro, the CEO of Global Fund for Women, visited Palestine and the Dalia Association to learn about our work in community philanthropy, and we later visited one of our grantees from Arab Al Jahaleen Women's Association. 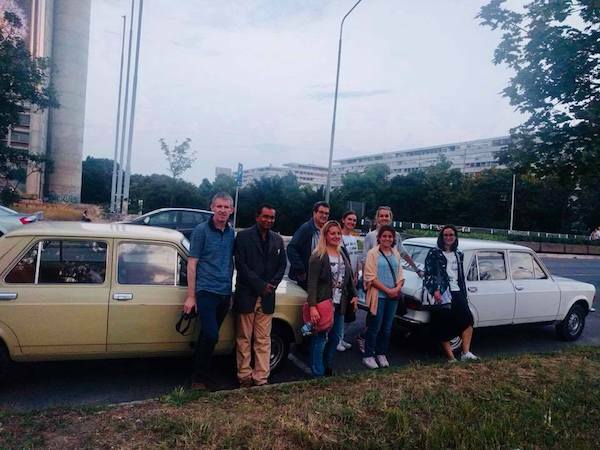 These are contributions from Team Dalia in their most recent trips of learning and networking. Giving meaning- Can our philanthropy influence culture and the way people think? In collaboration with Youth Bank International, I participated on behalf of Dalia Association in the annual European Foundations Center conference for philanthropy, hosting over 600 philanthropy professionals representing around 316 different organizations from 37 countries. The theme of this year’s European Foundation Centre annual conference was :”Culture Matters: connecting citizens, uniting communities”. Plenaries, sessions, meetings and tours were well organized by the conference in the beautiful city of Brussels, but to my surprise little space was given to community foundations like us to represent the community philanthropy scene in the philanthropy world, and to showcase the actual impact of community controlled development on the ground. Carrying the message of community philanthropy and community controlled development, we participated in a joint session with Community Foundation for Northern Ireland, Youthbank International, and Waqfeyat al Maadi Community Foundation in Egypt, to shed light on the meaning of culture from the perspective of community foundations, and their role towards positive social change. Youthbank International- presented their work by engaging attendees in interesting exercises on the responsibility of philanthropy, and changing behavior. Later, Waqfeyat al Maadi community foundation and the Dalia Association shared moments of change in the communities we work with through enabling a culture of trust building and community action towards a certain priority or need. Social change bear fruit by building trust through continuous and direct interactions with the communities. Real change happens when people get to identify and decide on their own needs and where it is needed to use funding and resources. Source: Reconstruction Women Fund, Belgrade, Serbia. Source: The Funding Network, London, UK. It always looks like this: people gathering around furniture; tables, couches, and chairs. A constant humming sounds of conversations. Pass by one group and you may hear this: “it’s such a wonderful initiative; they really care about old people”. Or this: “I am very happy to be here tonight, because I want to support these talented youth in their future careers”. Or even this: “We need to take control and be more involved in supporting our own communities. In the last couple of months, I have attended two meetings in London, England, and Belgrade, Serbia. 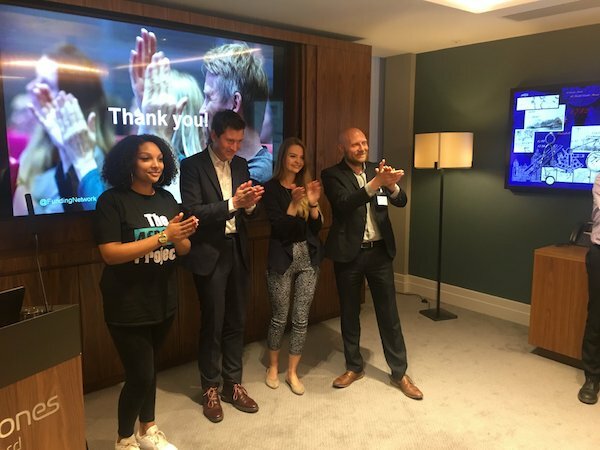 The first was a learning event with The Funding Network (TFN). The idea revolves around live crowdfunding, where people support charities, NGOs and other community based organizations with social change projects. In the upcoming months, TFN will support Dalia to implement such an event for the first time in Palestine, and we will call ours the Social Change Auction. One the first day, our host and member of FFP Reconstruction Women Fund organized an event with local activists to learn more about the work of the other participating members including the Dalit Foundation, and The Community Foundation of Northern Ireland. Dalia Association was among the speakers. With sustained attention, and emotions reverberating in the room, we all listened to each other’s stories of the effect of decades of colonization and conflict. Our solidarity was demonstrated in words of support, or complete sad silence. In both events (Belgrade and London), I found something common. People are eager to mobilize themselves to discuss their priorities, and support solutions that affect them. They want immediate action, and they believe that this action should start from the ground, from the people themselves. They are willing to support community-based organizations, and grassroots groups as they see them better fit to bring about the needed changes their societies demand. They also think it is faster to do so, than wait for “Big Aid” to trickle down to their demands. They know that “Big Aid” does not always have their priorities in mind. Sometimes, this “aid” excludes their urgent needs, because it is external and comes within a global agenda for development. From groups aiming to cover the needs of abused women, to groups who put a smile for elderly people with dementia. From people in a room full of passion who are shouting out their donations to support local initiatives, to people joining swim-athons to fundraise for the people they believe in. This is how true and just development is achieved, from the people to the people. I come back to Palestine feeling optimistic with an increasing passion in Dalia’s mission and vision: Now is the time, more than ever, for us (Palestinians) to control our own development. Source: Fem Fund, Free State, South Africa. 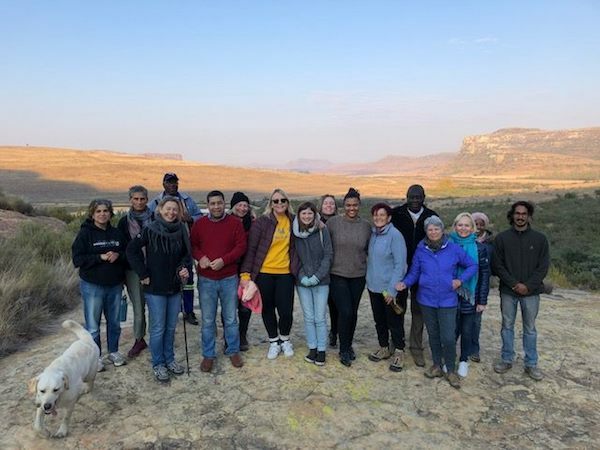 In June 2018, in Eagles Valley, Free State, South Africa, the Global Fund for Community Foundations organized the first of a two part meetings series to discuss the ACT Framework, Assets-Capacities-Trust. How can community philanthropy organizations working at the grassroots community level measure the value of their work? Much of the work we do in strengthening community philanthropy and supporting strong durable communities is intangible. And yet, the added value is enormous. Those of us in the field know this. But the mainstream donor-development aid system remains skeptical. These donors have developed elaborate measuring tools to exhibit their work. Their log frames are complex with several indicators per objective. And yet, do these numbers represent community based durable development?? It is clear for us working in community philanthropy that our work builds community assets (or rather it reminds us that we actually have valuable community assets), develops agency (capacity) in communities and strengthens trust so that the long term work needed to ensure durable development continues. Much of this important work is achieved with much smaller budgets that mainstream donor projects. The participants in this meeting consisted of eighteen leaders from the community philanthropy field from various countries including Brazil, Mexico, Costa Rica, Russia, Kosovo, Hungary, Poland, Zimbabwe, Zambia, South Africa, India, and Palestine. We discussed how to begin to measure and build a framework around this concept of Assets-Capacity-Trust. We will continue to work over the next few months and reconvene in January, 2019. Stay tuned! Fall Semester is approaching and we are still collecting donations for the Education Fund. Help us reach our goal to send 20 students to university this year. Yallah, education builds a strong civil society. Thank you to everyone who has donated or accepted the Education Fund Challenge! We are truly grateful for your community giving. Finally!! Dukkan found its home! You can now shop and donate at this new location with these opening hours. Please note that the Dalia Association office will not be accepting donations now, only at the new location.